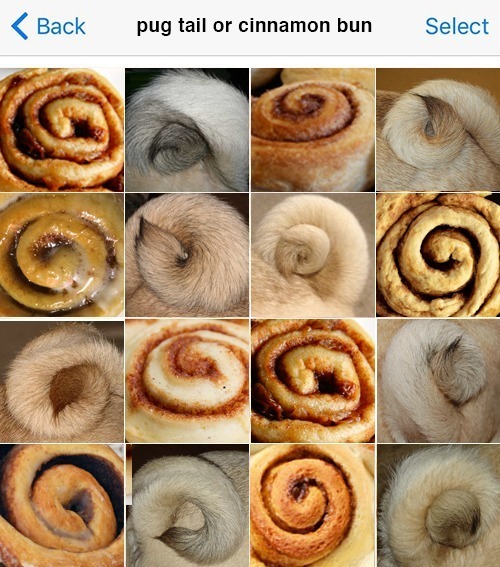 HOME / FOOD / 11 FOOD LOOK-ALIKES THAT YOU CAN’T LOOK AWAY FROM! We’ve all wondered where our look alikes are in the world, but most of us never find them. You’ve searched every corner, every city but no look alikes to be found. Maybe you’re looking at all the wrong places! Some people out there decided that the answer to our problem was food. No,no, you don’t need to eat the food, you just need to look at it! If you look close enough, you’ll find that food looks just like us! People find the funniest faces in food and turns out it’s actually a phenomenon! Pareidolia – the psychological phenomenon where one finds a pattern in something which doesn’t have any pattern in the first place. For example, when we find faces or dogs in food pictures! So when we look at these pictures, we’re experiencing pareidolia! Isn’t that cool? Remember that pose where you curl up to sleep and look like a fetus? 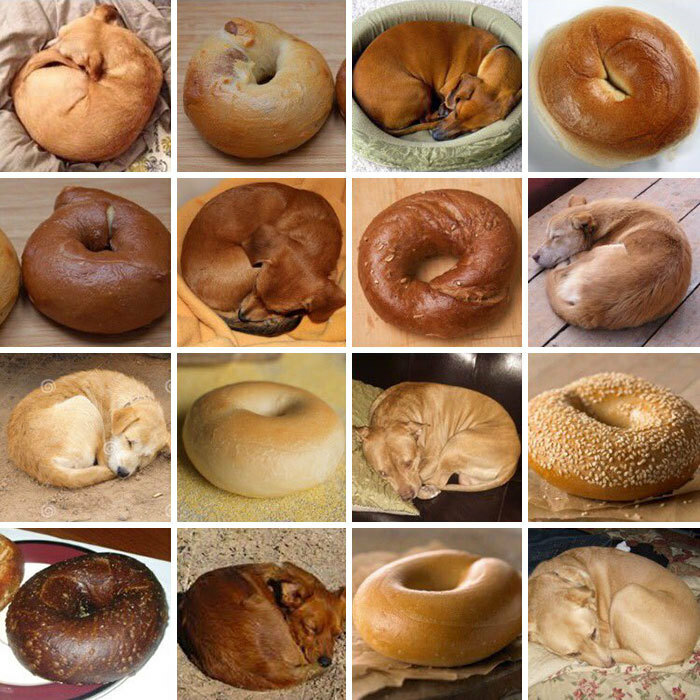 Apparently dogs do it too, but the difference is that they look like they came out of the oven! Who doesn’t love to trump – oh sorry, we mean troll – Donald Trump? 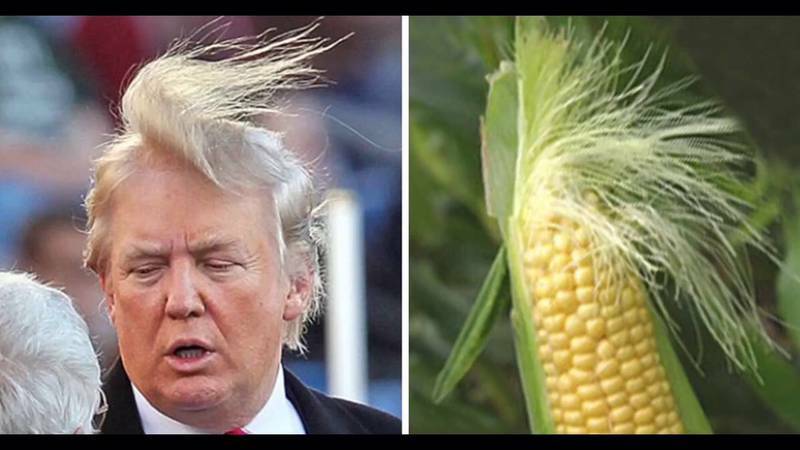 With the wind blowing his fine hair, his hairstyle looks just like this corn! 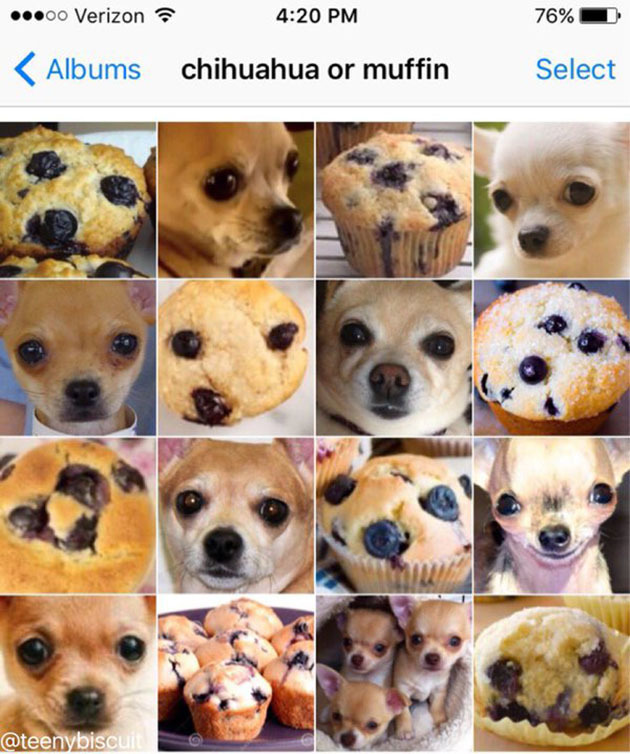 Whether you like your muffin with blueberries or chocolate chips, they both somehow look like a chihuahua’s face! We’ve never seen such an angry capsicum. 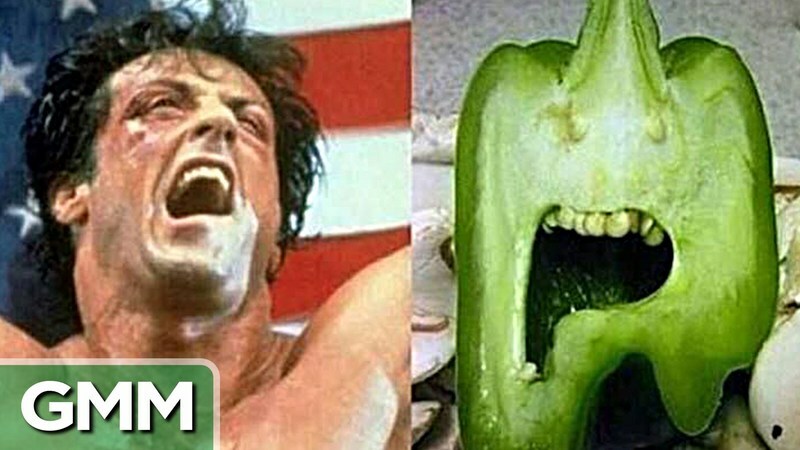 We found this capsicum’s twin and it happened to be boxer Rocky Balboa! That awesome moment when you roast your marshmallow - it’s white on the outside and golden in the middle – and it looks just like a dog. But.. but... we’re vegetarian! Remember E.T. ? He made us think all aliens are adorable. 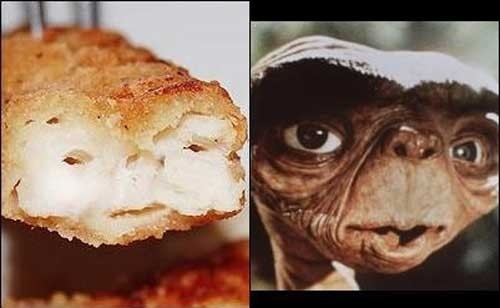 Someone found him in the last place you’d ever find him – in fried fish! Pugs have the cutest tails, they curl up just like jalebis or cinnamon rolls or.....stop! We can’t talk about such sweets, we’re on a diet! Any One Direction fans in the house? 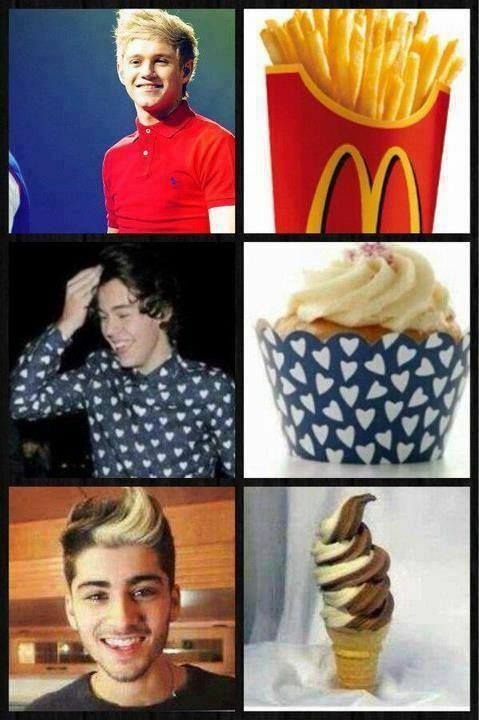 Unleash your fangirl by eating these foods, you’ll start feeling closer to your favorite One Direction singer! Oooh, that’s a huge piece of fried chicken you made. Wait, why is it moving? 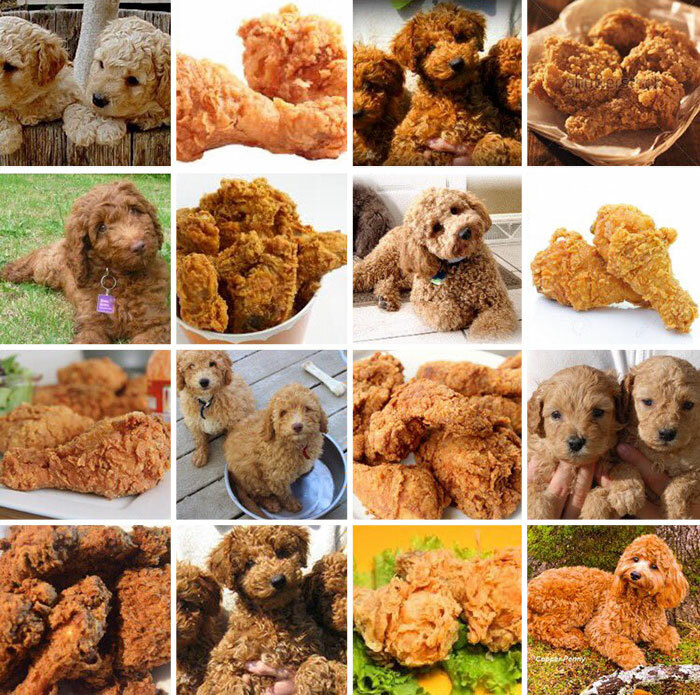 False alarm, it wasn’t fried chicken, it was just a bunch of Labradoodle puppies. Remember watching the Sesame Street as a child? Looks like we found Kermit the Frog in reality, but he happens to be a brussel sprout! Who knew a jelly bean could become royalty one day? 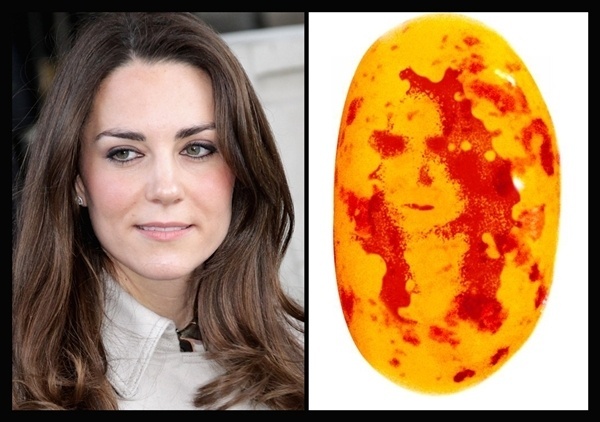 Someone title this jellybean the ‘Princess of Jellybeans’ because it looks just like Kate Middleton’s face! Uh-oh, has looking at all this food made you hungry? We’re hungry too! Time to have some tummy-filling freakshakes!